American Airlines Group Inc. ordered 47 Boeing Co. 787 Dreamliners for long-range flying, expanding its fleet of the advanced carbon-composite jetliners and dealing a blow to Airbus SE’s ambitions to expand its wide-body aircraft sales in the U.S. In a related move, American canceled an order for 22 of Airbus’s twin-aisle A350 jets, a purchase placed by predecessor carrier US Airways, according to a statement Friday. The Boeing deal is worth a total of $12.3 billion before customary discounts. The move underscores the difficulty that Airbus has faced in the U.S. — the largest aviation market and a Boeing stronghold. The Dreamliner deal marks the second time this year that Boeing has convinced an Airbus wide-body customer in the U.S. to switch to the 787. Hawaiian Airlines, the sole customer for Airbus’s A330-800, decided last month to order 10 Dreamliners instead. Adding more of the fuel-efficient Boeing aircraft will allow American to simplify its fleet and shed some of its oldest long-range jets. Bloomberg had first reported March 23 that American had ruled out a competing Airbus bid for the A330neo. With the plan, American will reduce the number of wide-body aircraft types it flies to three from five, reducing maintenance and training costs. American previously said the number of A350s it had ordered was too small for it to operate profitably. It already plans to shed another small fleet of 20 Embraer SA E190 jets. American had delayed taking the A350s in both 2016 and 2017. The deal includes 22 787-8s, the smallest member of the jet family, and 25 of the 787-9 variant — more than doubling American’s fleet of Dreamliners, Boeing’s most-advanced aircraft. 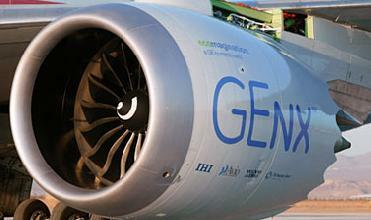 All of the new 787s will be powered with General Electric Co.’s GEnx-1B engines. The 787-8s will begin arriving in 2022, followed a year later by the first of the 787-9s, the carrier said. American will use the planes to replace aging Boeing 767-300s and, later, its Airbus A330-300s and the oldest of its Boeing 777-200s. American also deferred delivery of 40 Boeing 737 Max narrow-body planes to between 2025 and 2026. The aircraft originally were to arrive in 2020-2022. The deferral will better match future planned retirements, the carrier said. Airbus has said it has a series of ongoing sales campaigns for the A330neo with more than 100 airlines that currently operate the older version of the plane. The 250-seat A330-800 is on track for its first flight in the middle of this year, with the bigger -900 variant set to enter into service around the same time with launch operator TAP — Air Portugal. Where is the connection between this article and Israeli farmers ?